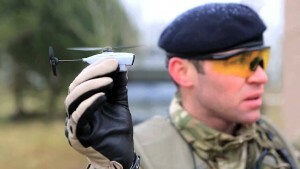 The US military is in the process of testing the PD-100 Black Hornet 2, a $40,000 high-tech camera drone. The Black Hornet 2 is specifically designed to be extremely stealthy, from it being able to fit in the palm of your hand to the fact it only weighs 18 grams. Developed by the Norwegian company Prox Dynamics, the Black Hornet 2 drone mimics a small insect in flight and is capable of flying for up to 25 minutes with a range of 2 miles. 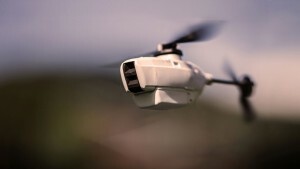 Not to mention, the tiny drone comes equipped with both thermal and ordinary cameras for capturing live video and photos. “The Black Hornet’s small size and electric motors makes it virtually inaudible and invisible beyond short distances,” Prox Dynamics says. Each PD-100 can be controlled autonomously using its GPS guided autopilot or via a small remote control and a live view screen.